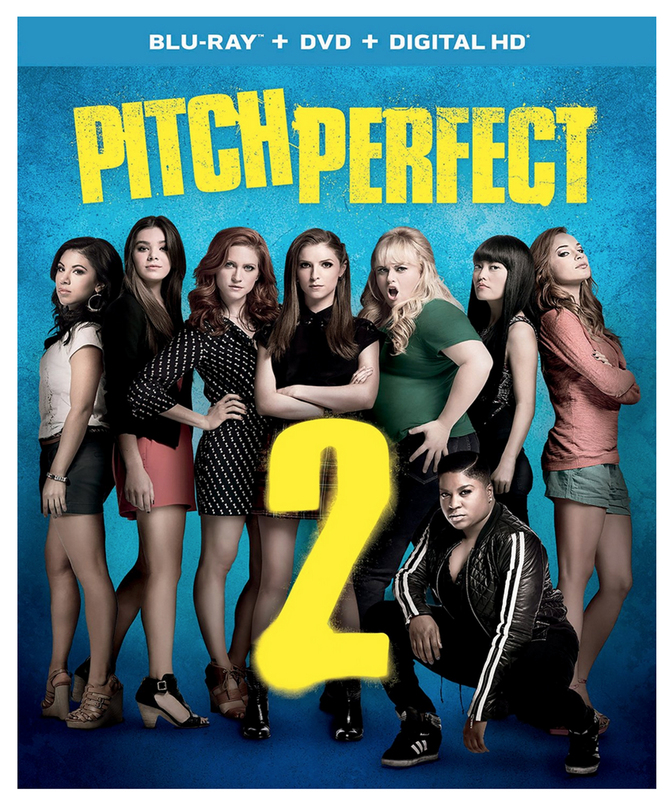 The fabulous Bellas of Barden University are back to compete in the World Championships of a cappella in “Pitch Perfect 2,” available on Blu-ray and DVD on Tuesday, Sept. 22. The music-filled comedy sequel already is available on Digital HD. The high-spirited sequel to the movie that sparked a worldwide phenomenon is available from Universal Pictures Home Entertainment. “Pitch Perfect 2” is filled with additional original musical arrangements, more one-liners and offbeat romance as the returning beloved characters fight to regain their former glory on a worldwide stage facing off against the toughest competition on the planet. Behind-the-scenes bonus material, never-before-seen deleted footage, all-new musical performances and a gag reel also are on the Blu-ray and DVD. Oscar-nominee Anna Kendrick (“Into the Woods”), Rebel Wilson (“Bridesmaids”), Brittany Snow (“Hairspray”), Anna Camp (“The Help”), Alexis Knapp (“Project X”), Hana Mae Lee (“Super Fun Night”) and Ester Dean (“Ice Age: Continental Drift”) return as the girls who run the a cappella world, with Hailee Steinfeld (“True Grit”), Chrissie Fit (“Teen Beach Movie”) and Katey Sagal (“Sons of Anarchy”) joining the team for the first time. Elizabeth Banks (“The Hunger Games” franchise), who also directed the infectiously funny film, and John Michael Higgins reprise their roles as clueless competition commentators Gail and John. Skylar Astin, Adam DeVine and Ben Platt rejoin the comedy as the Barden’s favorite Treblemakers with YouTube superstar Flula Borg and Birgitte Hjort Sorensen leading the Bellas’ archrivals, German supergroup Das Sound Machine. Season Six of the hit Fox comedy “Modern Family,” is available Tuesday, Sept. 22 on DVD. As freshly married Cameron (Eric Stonestreet) and Mitchell (Jesse Tyler Ferguson) acclimate to the realities of wedded bliss, Phil (Ty Burrell) and Claire (Julie Bowen) find their marriage stressed by annoying neighbors, a Thanksgiving dinner that goes awry and Claire’s online snooping. At the Pritchetts, a spy camera drone wreaks havoc in Jay (Ed O’Neill) and Gloria’s (Sofia Vergara) backyard, and a close call on the highway leads to amusing changes in various members of the Pritchett-Dunphy family. Special features on the DVD include “Awesome Halloween,” “A Modern Thanksgiving,” “Modern Connections: The Making of an Episode,” “A Day with Julie” (Bowen), a gag reel and more. For wholesome family entertainment, arriving on DVD Tuesday, Sept. 22 is the adventure drama “The Journey Home.” Directed by Roger Spottiswoode (“Tomorrow Never Dies”) and Brando Quilici, the film stars Dakota Goyo (“Real Steel”), Goran Visnjic (“ER”) and Bridget Moynahan (“Blue Bloods”). The film also is available on digital video. When Luke Mercier (Goyo) heard some noise outside his house, he never could have guessed what he would find. Discovering a young polar bear cub that has been separated from its mother, Luke knows he has to do something to help. Despite the warnings of his family and friends, Luke speeds off on a snowmobile, with the cub in tow, deep into the frozen wilderness. But when a violent storm closes in, Luke’s mother (Moynahan) and family friend Muktuk (Visnjic) frantically search for the daring pair as they defy starvation and below freezing temperatures so both boy and bear can complete their own journeys home.